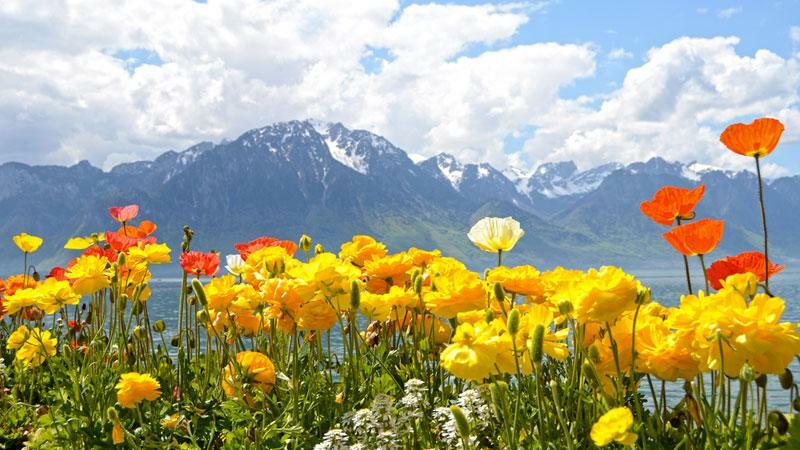 Linking the three major European lakes of Geneva, Bourget and Annecy are historic villages, Olympic towns, scenic river paths and rolling flower filled meadows. Framed each day by the French Alps, you’ll be able to experience the beauty of the Alpine cycling without having venture onto high passes. 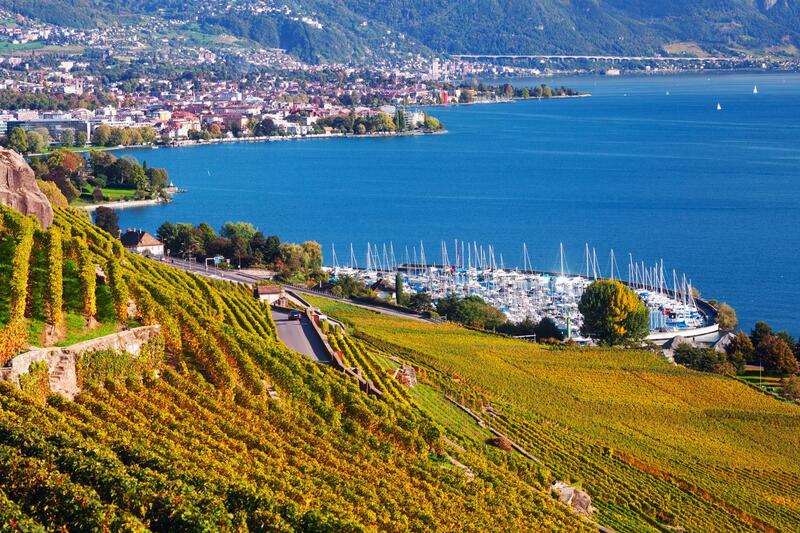 Cycling from the sophisticated streets of Geneva you'll head out to the wine-making twin villages of Dardagny and Satigny before riding over the border from Switzerland and into France’s Rhone Valley. Be sure to visit the Roman baths in Aix-les-Bains and also the historical centre of Chambery which is one of the most remarkable in France. Finishing at the chic Haute-Savoie capital of Annecy, it's to lose several hours wandering the streets of Annecy's old town or relaxing lakeside mountain gazing between visits to the exceptionally good patisseries! Arrive at your leisure and check into your at Gaillard, just outside Geneva. Geneva is a wonderful city to explore as it is a hub of international organizations, finance and culture, entwining the old with the new. Lake Geneva provides a marvellous backdrop. Perhaps you would like to try some excellent local cuisine in a lakeside restaurant this evening, after all Geneva is the culinary capital of Switzerland! There is always the option to upgrade to central Geneva hotel, only a short walk from the Lake. A member of our team will meet you this morning to go over the itinerary and outfitting of bikes. 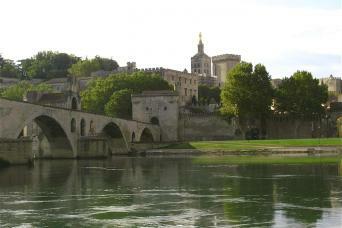 Then embark on today’s journey by cycling alongside, and enjoying the lovely view over, the Rhone River. You will then come upon the charming wine-making villages of Dardagny and Satigny. Since the late 1980’s there has been a formalized Swiss appellation system and the grapes here are mostly the Gamay variety which make great Sauvignon Blanc’s and Chardonnay’s. After pausing here to perhaps try a glass of these excellent Swiss wines head towards the westernmost point of Switzerland by pedalling through the village of Chancy and then crossing the border into France. Do not miss the Fort de l’Ecluse, founded by one of the Duke’s of Savoy. It is built on top of a striking rock formation within the natural entrance of the Rhone Valley between the Vuache hills and the Jura. Today’s views are some of the real highlights of your cycling tour, from the fourteen summits of the Bauges mountain range to the Mont de la Charvaz and the Col-du-Chat. Cycle alongside the lake and past the impressive Château de Montverran in Culoz, which inspired the Russian composer, Prokofiev. 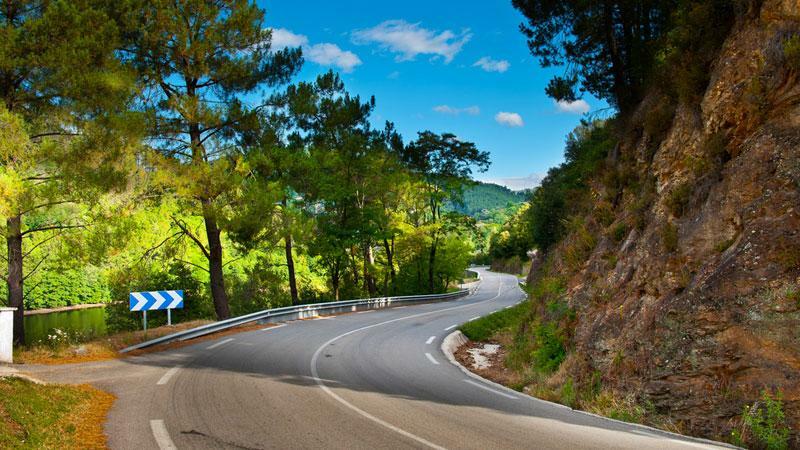 Pedal on to the spa town of Aix-les-Bains, situated on the banks of Lake Bourget and which was known for its thermal baths as far back as the Roman Empire. There are numerous Roman ruins still remaining. 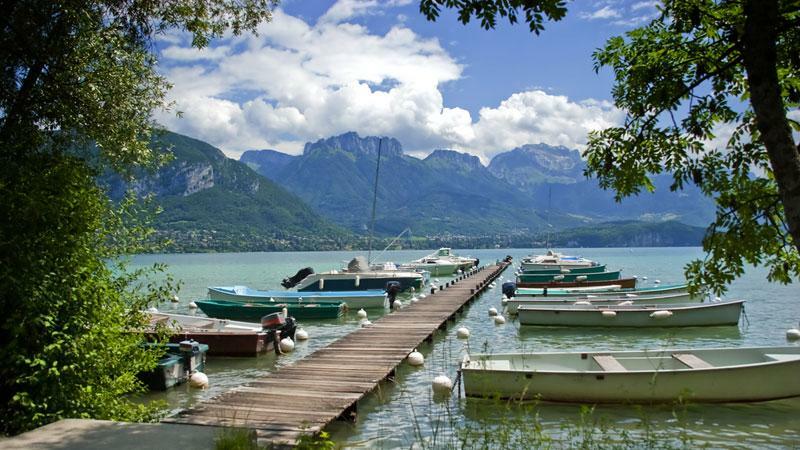 Lake Bourget is the largest natural lake of glacial origin and the deepest within France. 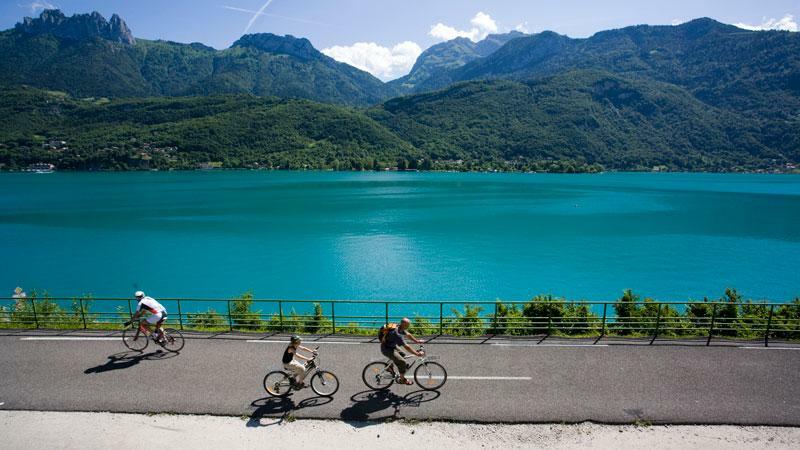 Pedaling through Chambery, a town in the heart of the Savoy region is the central feature to today’s route. It is located in a wide valley between the Bauges and Chartreuse Mountain ranges and is also situated at the crossroads of ancient trade routes. The old quarter of Chambery is one of the most remarkable in France, so it is worth spending some time here and immersing yourself in its fascinating history. Along the way also take in the ruins of the 10th century fortress, Chateau de Miolans, which overlooks the rich wine-growing region of the Combe de Savoy valley, including the wine-making village of Chignin. After a sustaining buffet breakfast wind your way to Grésy-sur-Isère via Albertville, the town that hosted the 1992 Winter Olympics. En route to Lake Annecy you will be astounded by the mountain ranges of Beaufortain and Bauges. 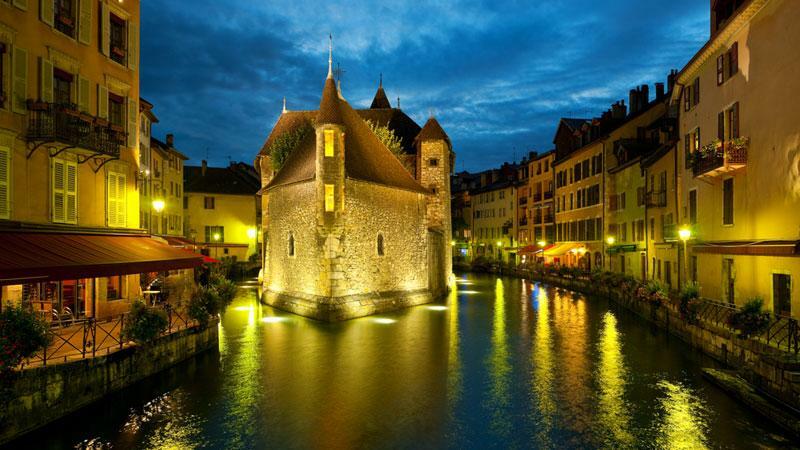 The town of Annecy, which is nestled on the northern tip of Lake Annecy, is home to the International Animated Film Festival as well as some notable sites, such as the Palais de l’Isle, the Chateau d’Annecy, the 16th century Cathedral of Saint-Pierre, and the 20th century Pont des Amour (Lover’s Bridge) made of iron. 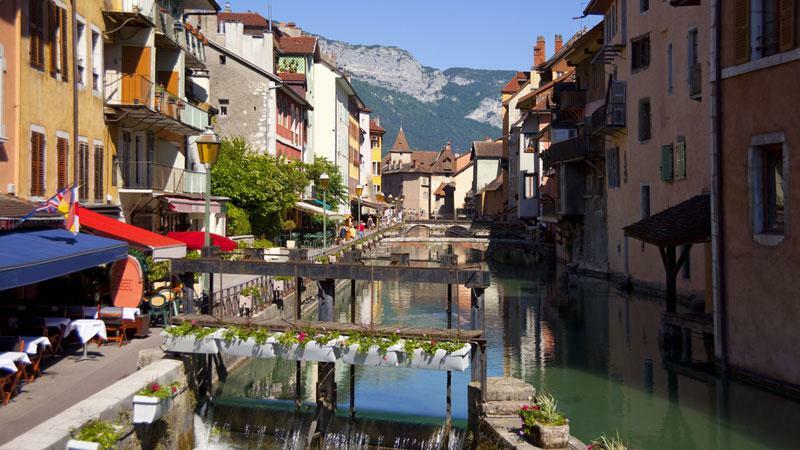 Annecy is a delightful town to explore and taking a lakeside stroll or boat trip out onto the waters is a superb way to round your Alpine Lake exploration. 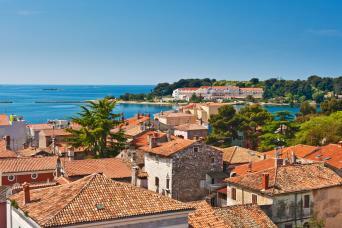 Your 6 day, 5 night self-guided cycling holiday includes five nights in 3* star and 2* hotels. They have been hand-picked and are located either centrally, or in remarkable settings. You might be booked into alternative accommodations which are not listed in the description. If those listed are unavailable the alternative accommodation will be of the same or better standard as those described. If you require single rooms within your party we would be happy to accommodate you although there is a single room supplement payable. Solo travellers cannot be booked on this tour. Breakfast is included at your hotel each morning. Two dinners are also included at the hotels in Seyssel and Grésy-sur-Isère. Your route notes will suggest where you can eat lunch and dinners on the other evenings. You can arrive on Fridays and Sundays between the beginning of April and the end of October. If you are a group of 4 or more, flexible weekday departures are possible. To make a provisional reservation select "Book". Option & Extension prices will be displayed as part of the booking process. You provisionally book the tour/s you are interested in on your preferred dates and pay a 20% deposit online or by phone. We confirm availability and book all your accommodation and options and send final confirmation as soon as everything is confirmed (max 5 working days). If we are unable to accommodate you on your confirmed dates/tour or an alternative of your choice your deposit is fully refunded.. When you are cycling between accommodation your main bag will be transferred. We ask that you limit your luggage for transfer to one bag of up to 20kg. This cycling tour is rated moderate because of the daily ascends and descends and mileages. People with an a fit and active lifestyle and good level of fitness should be able to complete this tour comfortably. 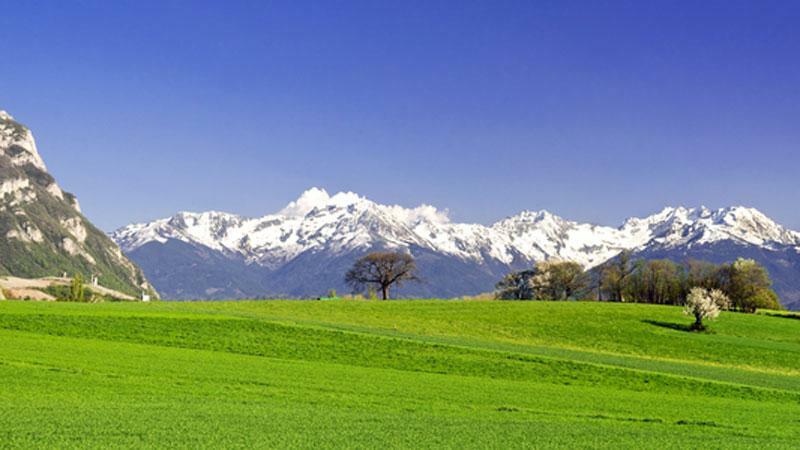 Please do consider though that this is the Alps! You will be provided with detailed route notes and maps to help you find your way. Most of the time you will be cycling on quiet back roads, however in order to connect the various routes, you may have short cycles on main roads. Bike hire is available as an optional extra. 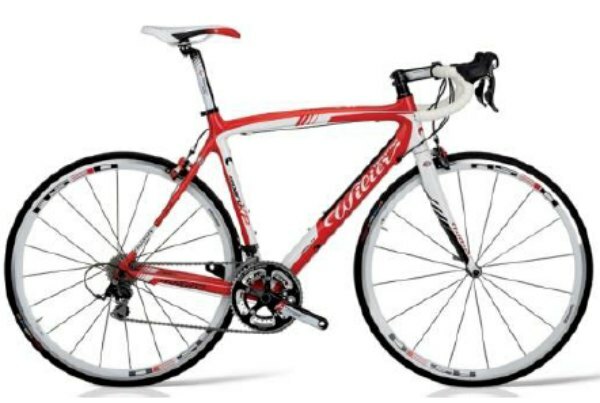 Full-carbon, aluminium, or hybrid bikes are available and the bike will be delivered to you. The aluminium bike will be a Giant CRS 2.0 or similar model. The carbon bike is a Scott CR1 Team or similar model. All rental bikes come with a helmet, saddle pack, lock, pump, and also provided is a rear rack, water bottle cage, water bottle, repair kit, multi-tool, spare tube, and a C02 cartridge. If you don’t return the bike to Geneva there is an additional fee to transport it back. 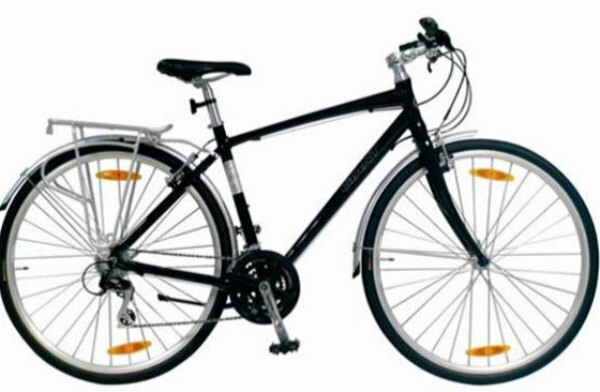 Complete bike specs are listed in the your information pack. By Air: Geneva Airport is served by many airlines from the UK and throughout Europe. The airport is only 4km from the city and it is possible to take either a bus or train into the centre. Trains take about 6 minutes and by bus a little longer, depending on the traffic. You can also take a taxi which costs between 30 and 35 CHF, depending on the time of day. By Rail: There are frequent trains from Paris Gare de Lyon to Geneva. Please consult the SNCF website for more information. Ferry: Dover to Calais by ferry is a 90 minute journey. The drive from Calais to Geneva takes approximately 8 hours. By Rail: From Annecy you can get back to Geneva by train or direct to Paris Gare de Lyon or via Lyon. Please consult the SNCF website for more information. Ferry: Calais to Dover ferry is a 90 minute journey. The drive from Annecy to Calais takes approximately 8 hours. We are often asked the following questions and I hope that you will find the answers useful. Please don’t hesitate to contact us if you have any further queries. 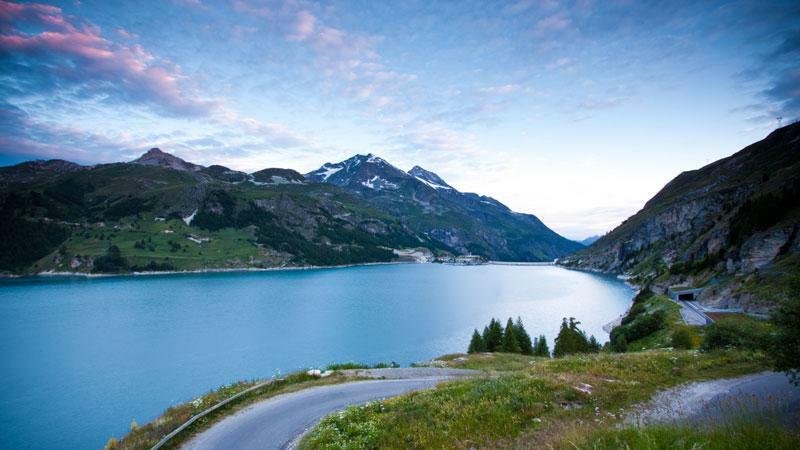 This self-guided cycling holiday captures the pure majesty of the Alps but without the difficulty associated with the majority of cycling tours in the region. It is rated moderate, but it is a tour that most people with a good fitness level can accomplish. 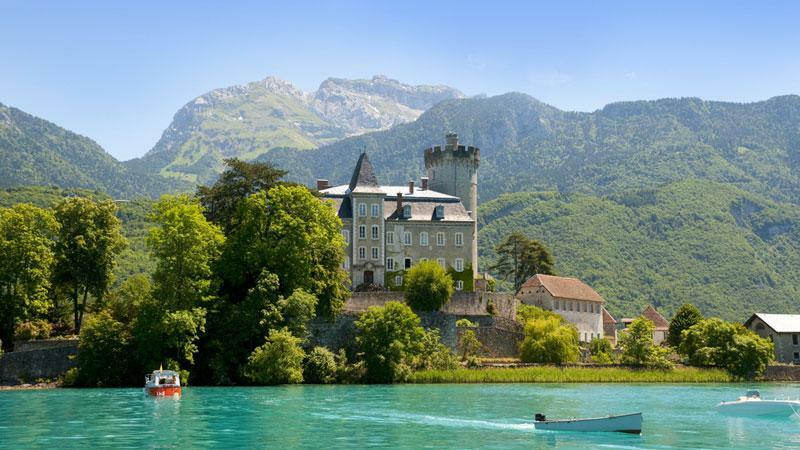 If you love Alpine scenery and want to see some really alluring towns and villages en route, then this is the tour for you. Geneva Airport is served by many airlines from the UK and throughout Europe. The airport is only 4km from the city and it is possible to take either a bus or train into the centre. Trains take about 6 minutes and by bus a little longer, depending on the traffic. You can also take a taxi which costs between 30 and 35 CHF, depending on the time of day. We can arrange for your bags to be transferred from your accommodation as per your itinerary and moved onto your next overnight accommodation. We ask you limit your luggage to 1 bag per person and a maximum weight of 20kg. We suggest you book as soon as your plans are finalised as this holiday is extremely popular especially in the summer months. Please note you can start this holiday on any day of the week. Spring, summer and autumn are best. Spring and autumn will be less busy. Public transport and taxis are available, if you are in need of support our local partner will be more than happy to help.